April 5, 2019 — This Tuesday, elections were held in several jurisdictions with very mixed results. Democratic Socialists won big in the Chicago municipal elections; the Republicans scored an apparent upset in the Wisconsin state Supreme Court campaign; a former Democratic congressman failed in his bid to join the Las Vegas City Council by literally five votes; and Democrats converted a politically marginal Republican state Senate seat in Pennsylvania. In the Chicago Mayor’s race, as expected, former federal prosecutor Lori Lightfoot (D) easily beat Toni Preckwinkle (D), the President of the Cook County Board of Commissioners whose campaign seemed to collapse in the runoff over tangentially being involved in a Chicago City Council bribery situation, using government resources for campaign purposes, and sexual harassment allegations levied against one of her county staff members. 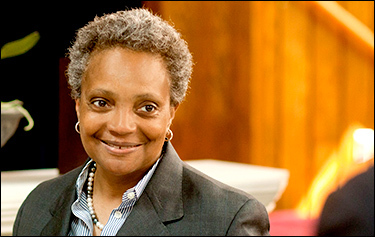 Lightfoot, who becomes the first black female and openly gay individual to become Chicago’s mayor, captured just over 73 percent of the vote. But, perhaps the more significant story, is the election of five Democratic Socialists of America party members to the Chicago City Council. One upstart (as described on Fox News) Andre Vasquez, defeated Alderman Patrick O’Connor, a leader for Mayor Rahm Emanuel and the City Council’s Finance Committee chairman. Just to the north in Wisconsin, Republicans received some good news. There, in a non-partisan election, conservative Brian Hagedorn, despite being badly outspent in the statewide campaign, appears to have defeated the race favorite, liberal Lisa Neubauer, by 5,960 votes will all ballots counted. Over 1.2 million votes were cast in the high-profile race. Because the final result will fall within one percentage point, Neubauer can request, and pay for, a full recount after the final canvass makes the result official. The state Supreme Court is important because it will likely decide some key redistricting cases sure to be filed after the 2021 re-mapping process concludes. A Hagedorn victory will provide court conservatives with a 5-2 majority. In Las Vegas, former one-term Congressman Ruben Kihuen (D-Las Vegas), who did not seek a second term because of sexual harassment allegations, attempted a political comeback in this week’s Las Vegas municipal elections. With all votes counted, Kihuen missed qualifying for the general election run-off by just five votes. It is being reported that he won’t be asking for a recount despite the closeness of the final margin. With only 3,065 total votes being cast and seven candidates in the race, the five-vote margin actually translates into a two-tenths of one percent victory. Kihuen only received 861 votes as compared to his closest opponent’s 866. Therefore, with so few votes comprising the election universe, even a five vote victory is unlikely to be overturned. Finally, in Pennsylvania, US Rep. 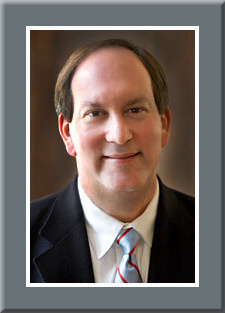 Guy Reschenthaler’s (R-Peter’s Township) former state Senate vacancy was filled on Tuesday night. In a result fairly typical for this district that includes parts of Allegheny and Washington Counties, Democrat Pam Iovino, who campaigned as a Navy veteran who wanted to protect jobs from leaving the area, defeated Republican self-funding venture capitalist D. Raja by a 52-48 percent margin. Reports suggest that the party and outside organization apparatus did not assist Raja while Iovino had strong grassroots support. She won by just over 2,500 votes, of more than 60,000 cast ballots. The turnout was just over half of what would normally expect in a Pennsylvania state Senate election. With so many local issues and personalities involved in all of these particular elections, it is hard to draw any national conclusions from the aggregate results other than those running the best campaigns in marginal political districts typically tend to enjoy the greatest amount of success.